Properties in Oregon average 4.6 out of 5 stars. Forest Sanctuary Cottage in the Heart of Wine Country and Close to Town! 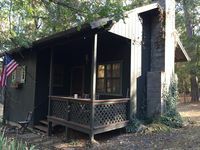 Property 3: Forest Sanctuary Cottage in the Heart of Wine Country and Close to Town! Oceanfront, dog-friendly retreat w/ocean views & relaxing deck facing the water! Property 4: Oceanfront, dog-friendly retreat w/ocean views & relaxing deck facing the water! Comfortable oceanfront cottage w/ easy beach access - dogs ok! Property 6: Comfortable oceanfront cottage w/ easy beach access - dogs ok! Property 8: Charming cozy cottage secluded in private woods in great close in location. Property 9: Siletz Riverhouse ~ Stay at Our Peaceful Haven on the River! Property 10: Now Accepting Reservations for 2019! Great Vintage 2500sq ft. country cabin amazing river front setting! Property 13: Great Vintage 2500sq ft. country cabin amazing river front setting! Property 14: Rosie's Woodland Paradise! Come relax and rejuvenate! Property 16: Beautiful dog-friendly chalet with private hot tub, fire pit, & mountain views! Property 19: Recently remodeled home on the Alsea River w/ private dock! Property 21: Cozy, family-friendly home with shared pool - close to town. Free SHARC access! Rustic log home. Room for the entire family! Property 26: Rustic log home. Room for the entire family! Serene dog-friendly cottage just blocks from the beach & main drag! Property 34: Serene dog-friendly cottage just blocks from the beach & main drag! Come Stay With Us At The Rookery, A Piece Of History Along The Rogue River! Property 35: Come Stay With Us At The Rookery, A Piece Of History Along The Rogue River! Property 37: Updated Sunriver Area Home on 1.5 Acres Near Bend! Inviting, dog-friendly, waterfront cabin w/ covered porch & cozy interior! Property 38: Inviting, dog-friendly, waterfront cabin w/ covered porch & cozy interior! Property 39: Lovely cabin in the woods with a private hot tub, perfect for relaxing! Cute & cozy honeymoon cottage perfect for two guests in Depoe Bay, Oregon! Property 40: Cute & cozy honeymoon cottage perfect for two guests in Depoe Bay, Oregon! Property 41: Oceanview cottage for arts lovers - creative inspiration, walk to the beach! Experience Driftwood Beach Guest House, an oceanfront home in Seal Rock, OR! Property 42: Experience Driftwood Beach Guest House, an oceanfront home in Seal Rock, OR! Property 43: Upscale dog-friendly beach cottage just a block to the beach and close to town! Property 44: Pet Friendly, luxury log cabin with hot tub near Sunriver! Property 46: Welcome to the “The Bear Hut”! Ocean View OASIS Private Retreat. Luxury and Quality! Sleeps 4. Property 47: Ocean View OASIS Private Retreat. Luxury and Quality! Sleeps 4. Find peace and tranquility at this riverfront Steiner cabin in the forest! Property 50: Find peace and tranquility at this riverfront Steiner cabin in the forest! We chilled out for 2 nights. Super comfy with a log fire, Mary has a lovely clean cottage on a piece of paradise. Highly recommend. Welcoming, cozy and great hosts! The yurt was perfect! Cozy fire, super cool off-grid efficiency, simple design yet original with custom touches. It was the perfect getaway without our kids. We'll definitely be back!